If you love the lore of the Old West, you might been familiar with this iconic photograph of the Dalton Gang. Now the city can’t seem to get enough of the outlaw gang. 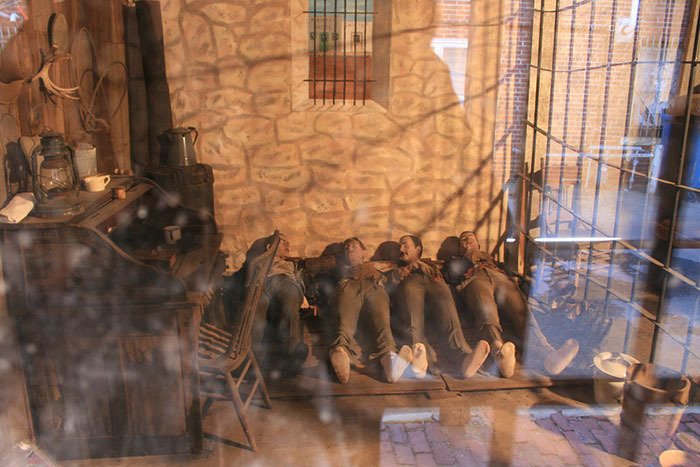 Using the photograph of their dead bodies, the local museum created mannequins and laid them out on the floor of an exhibit. And as an illustration of the impulse to step into the past, the town painted the image on the city sidewalks outside the bank. 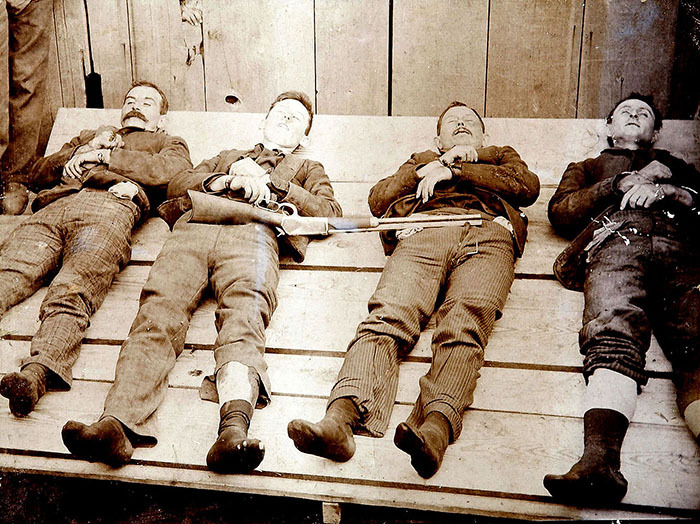 Yes, lie down on the sidewalk and have your picture taken with the dead Dalton Gang! It seems strange to commemorate death in such a manner, but we have an impulse to connect past events with real places — even step into it, or, in this case, lie in it. Add a photo opportunity and history is spread across modern media. Posted in: Images of the past, Museum Without Walls.